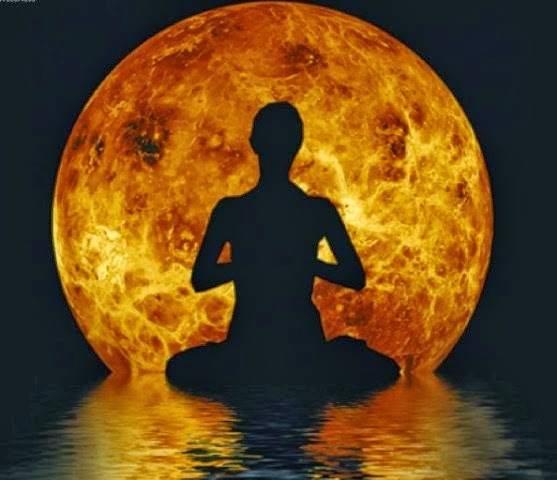 I am not sure how many of you have experience this Full Moon & New Moon Vibrational Gong Healing. 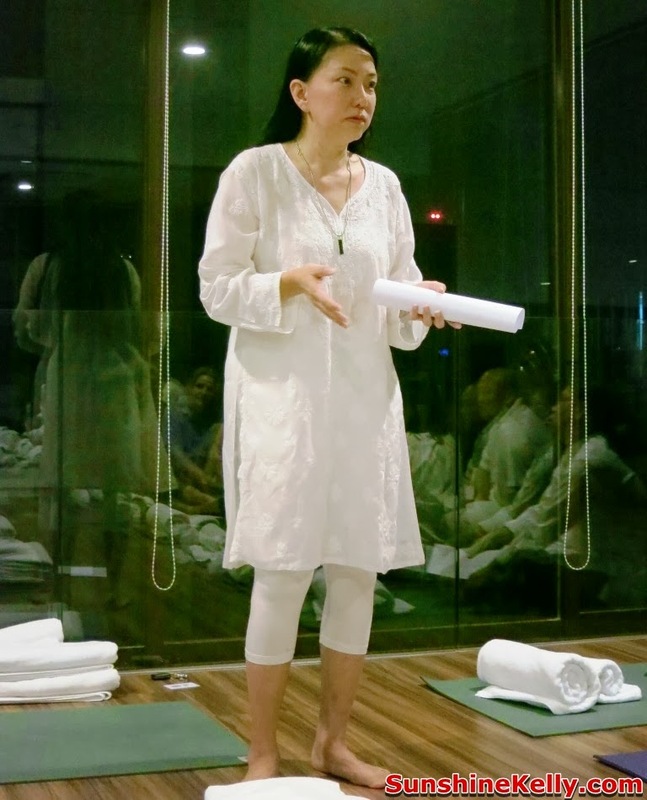 Few weeks ago, I attended and experienced the unique blend of powerful mind-body-spirit healing in a special Full Moon & New Moon Vibrational Gong Healing session with Dr Lennie Soo as she addresses deep-rooted fears, phobias and anxieties at BE Urban Wellness in Damansara Heights. This session is all about Yoga, Hypnotize & Vibrational Gong Healing. Well, out of curiousity I register for this healing session and it is my first time experiencing such things. The class is not big I think that evening there were about 20 of us just right to fit in comfortably in the yoga room. There are not many photos for this post because I am not really sure am I allow to take pictures or not plus while I was doing yoga and during the hypnotize & gong healing session no one help me to take picture. Vibrational gong / trance healing (VTH) is new pioneering and powerful healing modality invented by BE and this pioneering work is only available at BE. It is the first of its kind in the world. Vibrational Gong Healing combines three effective modalities with proven track records – yoga postures, hypnotherapy and gong healing – at the same time for effective results. The session started off with 20 minutes Yoga postures and breathing followed by 10 minutes Hypnotic suggestions. Then we lie down on the yoga mat, relax and drift ourselves into 30 minutes Gong meditation. 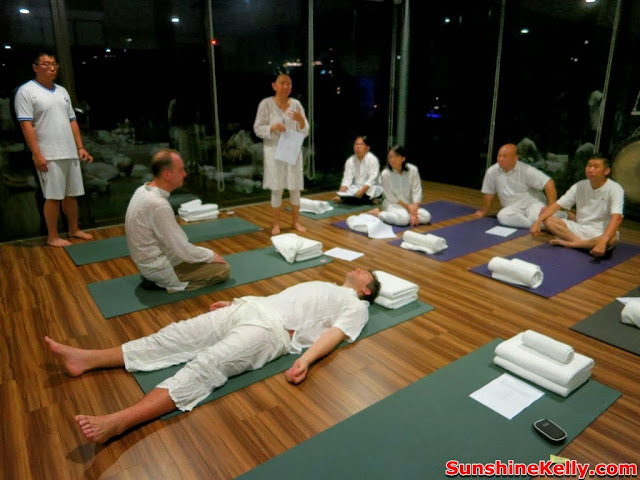 Then 10 minutes awakening and light stretching after the mediation. Lastly was the sharing session. Try not to plan anything after the session aside from healing sleep. During the Gong mediation, I feel that someone was talking or whispering to me from afar but I could not recall what was he talked about. 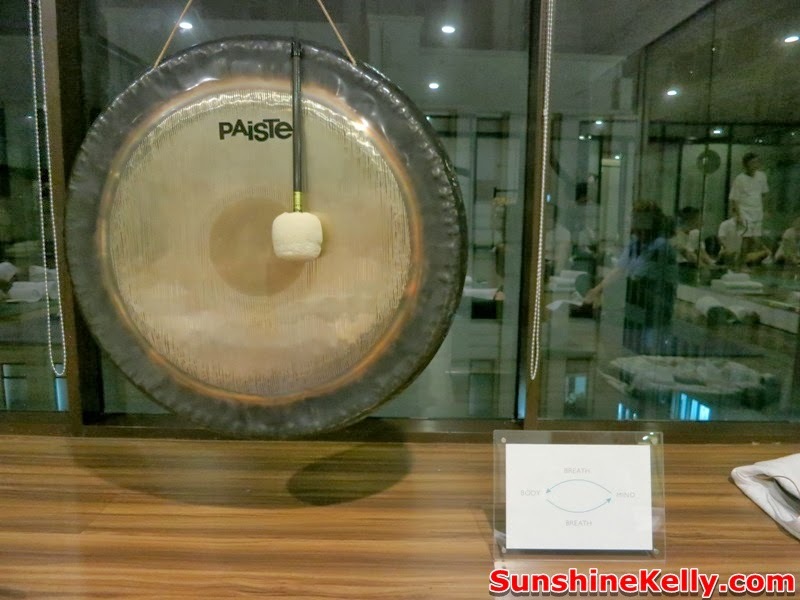 At the same time the gong vibrating sound makes me dizzy at first then I feel like drowning, feeling difficult to breath then next moment I feel like floating and enjoying myself in the relaxing sound. So I am not sure how to explain this emotion. After the meditation there was a sharing session so some of us shared how and what we feel during and after the session. 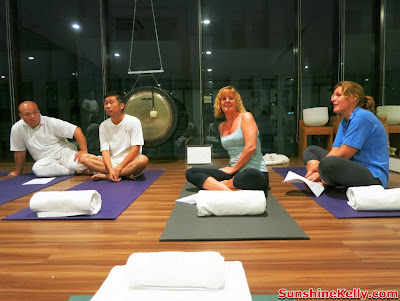 Each of us has different feeling and outcome after the gong meditation session. This is based on individual past experience, background and etc. That evening during the sharing session Dr Lennie Soo brought out a snake, some of the participants that really afraid of snake they scream at first then was calm down. Some began to slowly conquer their fear by being able to stay calm even they saw snake in the room. However there were participants that able to hold the snakes at first they were scared. I am ok with snake, I did go to the front and touch the snake. It is harmless just that some of us has the fear. Well, the next morning I feel very calm even though there were a few hiccups. This session opens up my mind actually fear is just some illusion that we have in our mind, same like stress. So, I will have to send signal to my mind to get away from fear and stress. It is said that the vibrational sounds of the gong helps repair the nervous system; generate neurons and their interconnections, reduce stress, stimulate the glandular system, strengthen the immune system, clear negative energies, increase intuition and cleanse negative karma. The Gong's vibrations can help activate and tune your vibrations, aligning the balancing your chakras and energy grid. 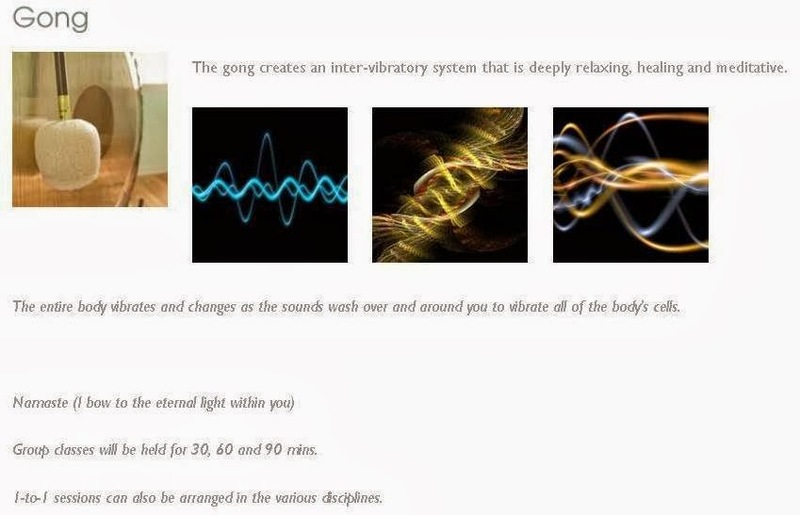 These vibrations also help focus and slow the mind and move into a deeper, slower state of vibration. It is at these deep states, like Theta and Delta that healing and realignment can occur. 1) Yoga postures - Yoga has many benefits, such as lowering heart rate and blood pressure and relieving anxiety, depression and insomnia. The postures create a certain release of muscles, organs and nerves as it unites body, mind and breath. 2) Hypnotherapy - It has been proven to address issues of the mind and reprograme habits. 3) Gong Healing - in essence, we are made out of atoms, electrons and protons and so we are all vibrating at a certain level. There is a subtle quantum field of vibration that is relevant for our health. Gongs, crystal healing bowls, tuning forks, music and even singing rely on this healing framework to correct imbalances at a vibratory level. 1. Wear loose white cotton clothing only. 2. Shower before the session. 3. Have a light early dinner. 4. Have a massage, floatation chamber or oxygen chamber session before. 5. Bring your crystals to be recharged. 2. No phones, pagers or other distractions. 3. Set an intention and keep it throughout.